Stanford Advanced Materials (SAM) supplies various anodes including platinized titanium anodes, platinized niobium anodes, platinized niobium mesh anodes, etc. For other anodes, please send us inquiry first. Platinum is an excellent anode material due to its high conductivity and low consumption rate. But as one of the precious metals, platinum is often used by electroplating a thin layer over a high corrosion resistance substrate to reduce the cost. 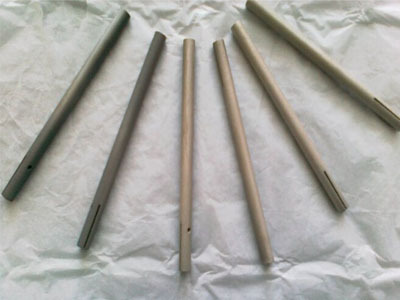 Niobium is one of the materials which are often used as an anode substrate. - internal protection of condensers, process equipment etc.